I think it’s a surefire success when cheese and bacon are combined in any recipe. This recipe requires only these two ingredients and the results are out of this world. 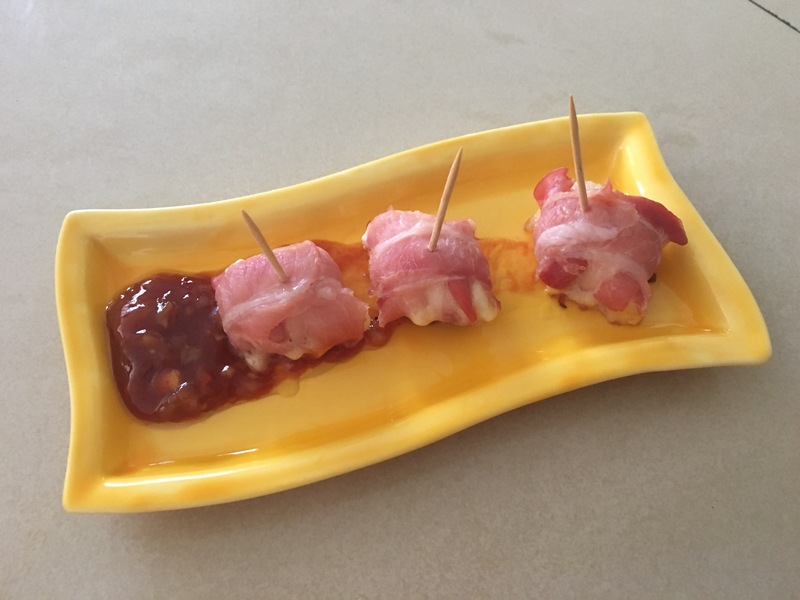 Quick and easy to make, the Cheese and Bacon Bites are a yummy comfort food. 1 packet streaky bacon (good old Farmer’s Choice) You can use beef bacon as well for the same recipe. 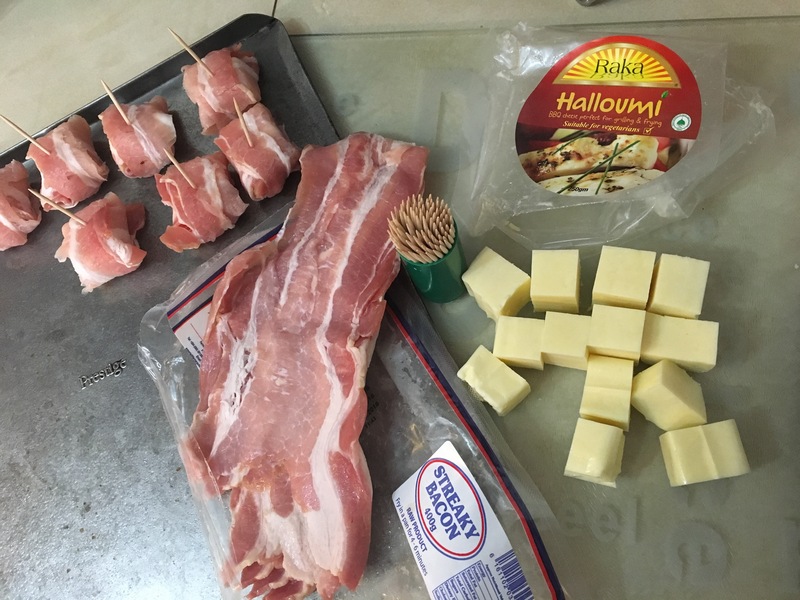 Cut the Halloumi cheese into 1 inch squares and wrap the bacon strips around them. Secure with wooden cocktail sticks. Place on a greased baking tray (I sprayed mine lightly with olive oil). Place in a preheated oven (180degC) and bake for 25 minutes. 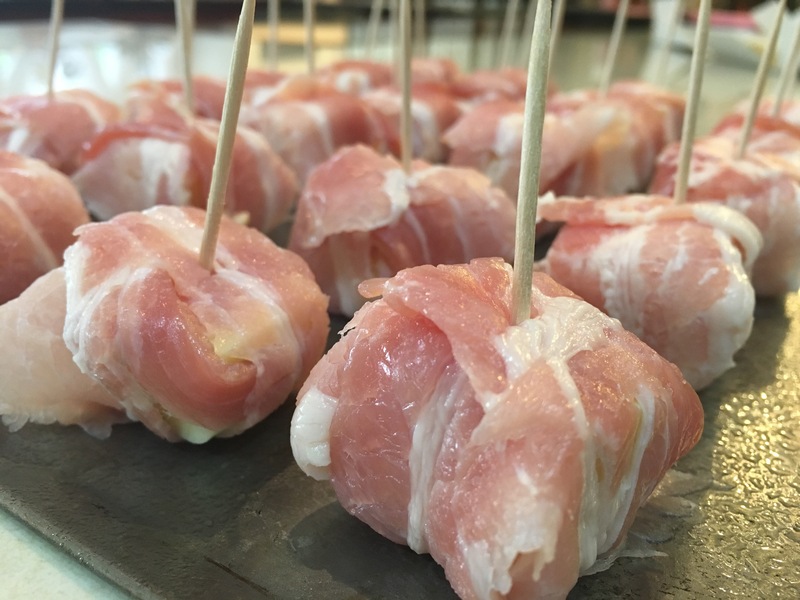 If you don’t feel like baking you can place them in a non-stick pan on low heat and cook gently until the bacon is browned. Serve hot with a chilli dip.